I’m an avid hunter, so it has always been with that in mind that I’ve judged optics. I look at the incredible clarity and quality of optics put out by Carl Zeiss, Swarovski, and others that cost thousands of dollars and think that I could spot animals from miles away. But then I remember the time when I was on the hunt with a friend and he accidentally dropped his binoculars, and they tumbled down the mountain through the trees. We never found them, and even if we had they would have been ruined by the brutal impacts they took on their unexpected journey. 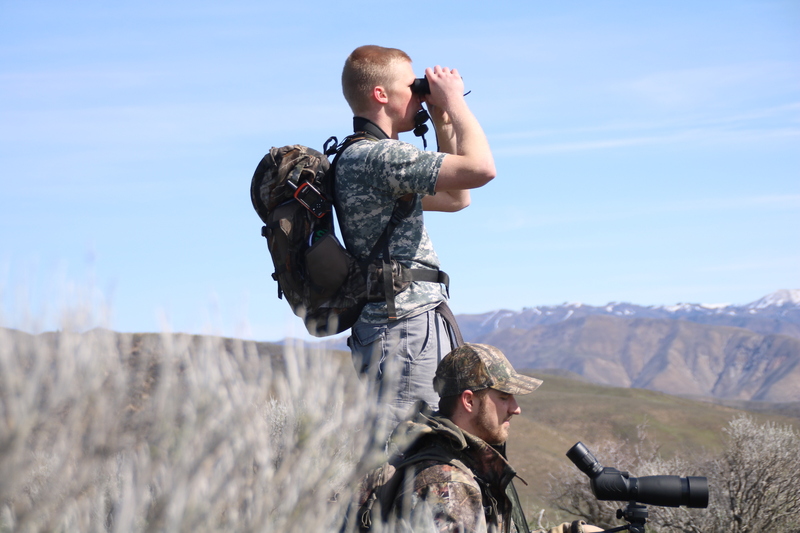 Hunting is a rough sport, and your equipment needs to be durable to withstand the journey. At the same time, it can’t be so outrageously expensive that a simple slip ends up costing you more money than a used car. There is a sweet spot where your optics are high quality enough to aid in your hunt, but aren’t so expensive that you’re terrified to carry them in the field. There are a wide variety of brands that could fit this mold (I’ve used Redfield and Leupold in the past, and Bushnell and Vortex are others that come to mind). But none of these companies focus exclusively on hunters. (Some make camouflage versions of their binoculars, but don’t be fooled. This is just a way for them to charge more for the same optics!) That is why I’m so excited about Upland Optics, the new kid on the block that is making optics specifically for hunters. Their Perception HD 10x42mm binoculars fit the bill of exactly what I want in a pair of hunting binoculars. 10x42mm is my preferred size, it is just powerful enough to use for long range spotting but is compact enough to carry easily around my neck on all day hunts. I was lucky enough to get my pair before they went to market last fall and use them during hunting season, and I was impressed. It probably helped that I shot a decent buck that I spotted with them! Clarity and quality of the optics. 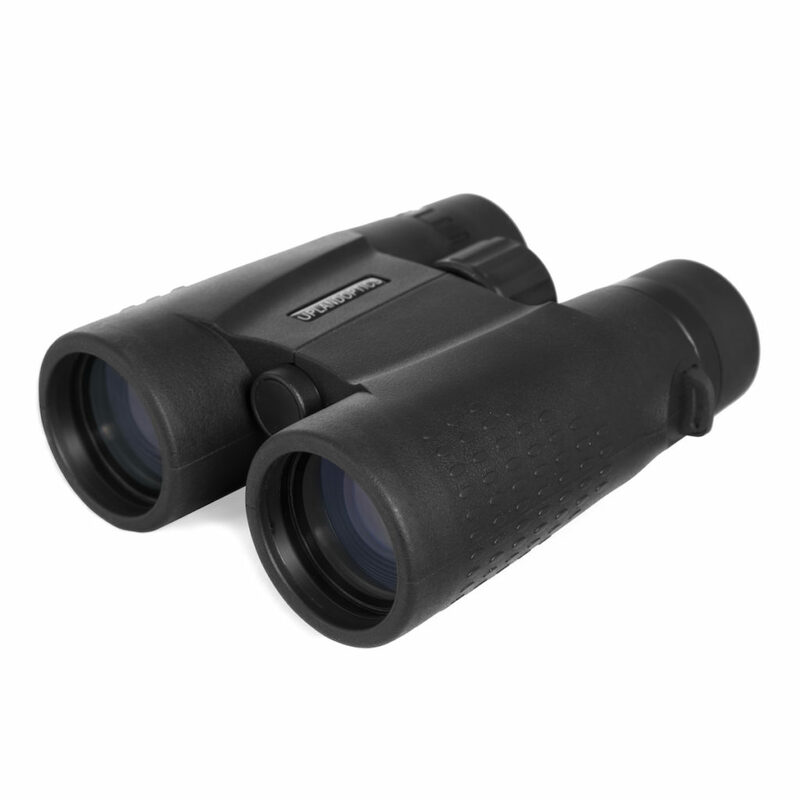 These things are seriously great, they are definitely on par with or ahead of every pair of binoculars I’ve looked through that cost less than a grand. Feel of the material. The rubber they are coated in just feels awesome, it is very grippy and high quality. The lens covers are built to stay attached to the binoculars. This is such a no brainer, it shocks me that all binoculars aren’t made this way. Particularly when hunting, you don’t want to have to keep track of three or four little pieces of rubber! The build of these binoculars in general feels extremely solid. 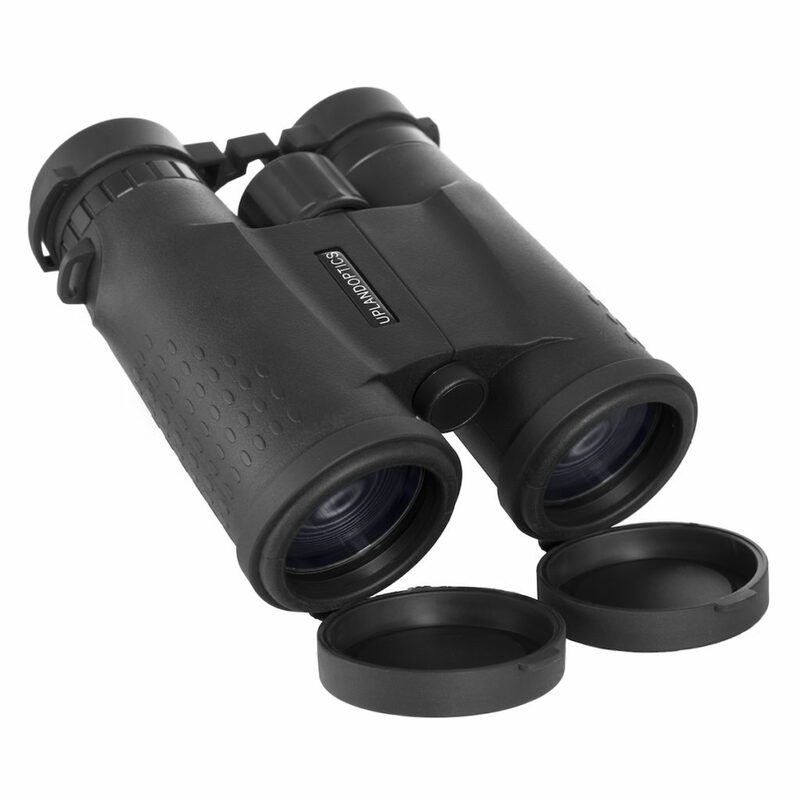 Much more so than other binoculars in this price range. They are slightly heavier than other binoculars this size. Might be because of the solidness of the materials mentioned above. Definite trade off for hunters who pack light. The packaging is cheap. The box it came in is very basic and the instructions are sparse, they certainly didn’t blow me away like other hunting products have. Bottom line, the Perception HD 10x42s are now my go to pair of binoculars. I’m impressed with Upland Optics and look forward to seeing what else they put out in the coming years!